Below you will find your affiliate resources. These are crafted to ensure they convert like crazy and make you maximum commissions. 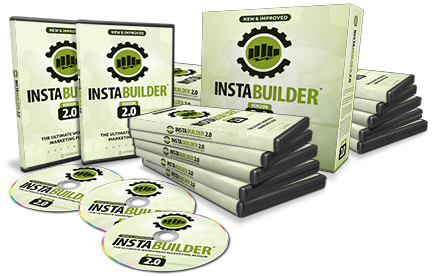 Simply copy and paste to start making money selling InstaBuilder 2.0. This evergreen product is sold through Zaxaa. Sign up to Zaxaa.com get your affiliate link. Zaxaa is an awesome platform and you can promote us for instant commissions! We combines the functionality of dozens of plugins in a 'one stop' solution that takes care of all your Internet Marketing needs. We have hundred of templates that you can choose from. You have the ability to completely CUSTOMIZE the look and feel of your page... change any elements with just point, click, drag and drop. Subject: If you missed this 2 years ago... don't miss it again! I want to share with you the #1 most important lesson in ALL of business. Success = Preparation + Opportunity. Success happens when you are in the right place, at the right time, in the right mindset. 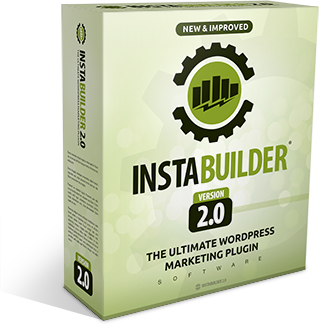 2 years ago a little plugin called InstaBuilder [INSERT LINK] was launched. It sold 6000+ copies in just 7 days. It completely revolutionized the way that people started building sales funnels. If you are reading this email, chances are that you aren't a designer. You probably don't code websites for fun. The reality is that you are a marketer/entrepreneur. And that's probably WHY the money has been so hard to come by lately... am I right? But actually trying to BUILD a sales funnel like that (one that actually converts...) is a real pain in the... well, you know. There's the coding, the design, the integrations, the conversion rate optimization, the split testing, the buy button set up etc., etc., etc. Unless you enjoy torturing yourself, chances are your current sales funnel (if you have one) isn't doing what you would HOPE it should be doing (which is making you sales on a consistent basis). Well, today you are in LUCK because one of the most popular, well respected, and easiest to use page builder plugins is opening its doors again for the first time in 2 years! Imagine being able to literally CLICK & DRAG your way to a robust, high converting sales funnel... all from the comfort of your very own Wordpress blog. That's right, if you can click around on a screen... you can now design cash pulling sales funnels one page at a time. If you've ever wondered how to build sales funnels that make you sales day in and day out... this is how. Imagine being able to create sales funnels with the click of you mouse that had ALL of that good stuff that I listed above... AND MORE! 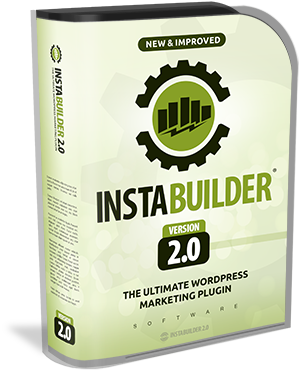 That's right, InstaBuilder has already been proven by over 6000+ marketers just like you to be a valuable resource for creating huge profit windfalls for their business. Don't waste time on this offer. The last time InstaBuilder was available to the public it was only open for purchase for 7 short days. Subject: If you pay a monthly fee to create high converting landing pages... STOP! Subject: Cancel Your Subscription. This Is Much Better. Now, what if you were getting FEWER features from the $19.95/month service than the one time $77 payment? And yet, this is the EXACT scheme that most "point & click" page building companies are running. They want you to pay a monthly fee for "hosting" while constantly asking you to upgrade, upgrade, upgrade just to get ANY of the features and functions that you REALLY need to build robust and high converting sales pages. And that's why I am sending you this email today. Over 6000+ other marketers have already made the switch (because it's a dang good deal) and already those marketers have generated THOUSANDS of dollars per day in revenues because they switched to a more affordable, more robust drag and drop visual page editor. No, you aren't dreaming, and yes, this email is 100% legit. Grab this deal before time runs out. The last time InstaBuilder was open to the public they had to close it down after just 7 days because they got SO MANY ORDERS. Subject: Can Your Page Builder Do These 32 Things? We throw the words "blueprint" & "checklist" around a lot. "Get the Blueprint for blah, blah, blah..."
"The step-by-step checklist to blahtown..."
Now, most of those "blueprints" and "checklists" are somewhat helpful. But every once in a while, there comes along a TRUE "checklist" of sorts. Something that you can literally print off and mark with a pencil each and every step of the process. "Blueprints" like this are rare, but when they do show up they can have a profound impact on the way you do business. Sometimes these "checklists" don't appear as "checklists" per say. Sometimes they can appear as a blog post. If your sales funnel isn't taking advantage of EVERY SINGLE ONE of those conversion boosting tactics... then your funnel isn't performing like it should. Then you are losing money BOTH WAYS. So go do it. Take the 5 minutes to give yourself a spot check. I'm not sure that they are going to leave this sales page up forever, and you will seriously regret not taking a peek at this free "checklist." We cannot take responsibility for you inputting your Clickbank id incorrectly. (Or for any loss of sales resulting from this or from incorrectly typed affiliate urls) Please make sure you double check your affiliate links and information is correct when signing up. ClickBank is a registered trademark of Keynetics Inc., a Delaware corporation. InstaBuilder.com is not affiliated with Keynetics Inc. in any way, nor does Keynetics Inc. sponsor or approve any instabuilder.com product. Keynetics Inc. expresses no opinion as to the correctness of any of the statements made by instabuilder.com in the materials on this Web page.